“Why was it removed?” considering that it was there in 9.3 version (CSSExportImport util, where you can specify a filter in the properties file). The same doubt was shared by Shiva in this thread and Nicholas King and Shiva gave us a cool hack to filter groups and users. In 11.1.2.2 you can filter users/groups by editing the Export.xml as given below. You can add the below lines into Import.xml to specify the import operation. 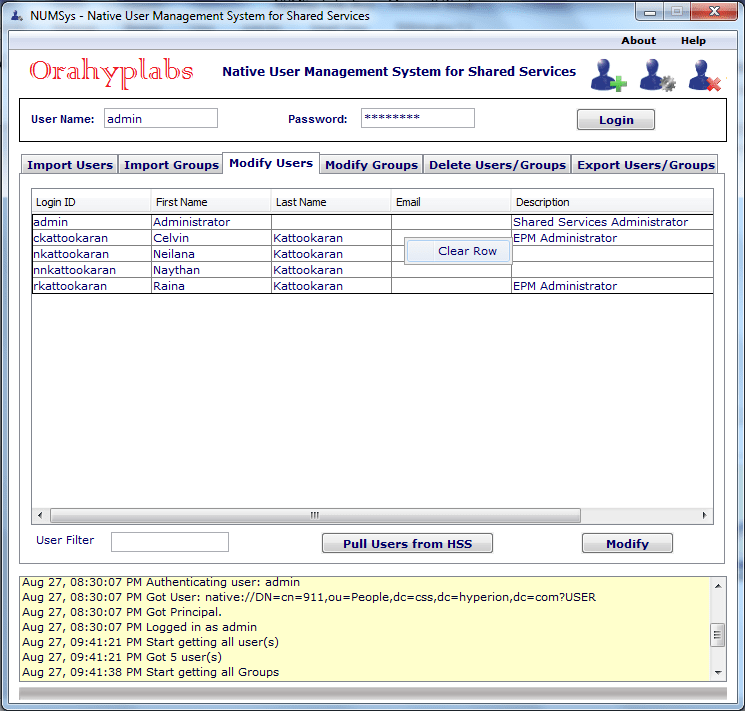 I was thinking about a way to export users/groups from Shared Services and started exploring Shared Services User Management API (for the first time) and it ate a lot of my personal time. Apologies to Jason Jones for not testing HUMA. Now you might be wondering, why we need this when Shared Services is already there. It has an interface where you can filter users/groups while exporting. 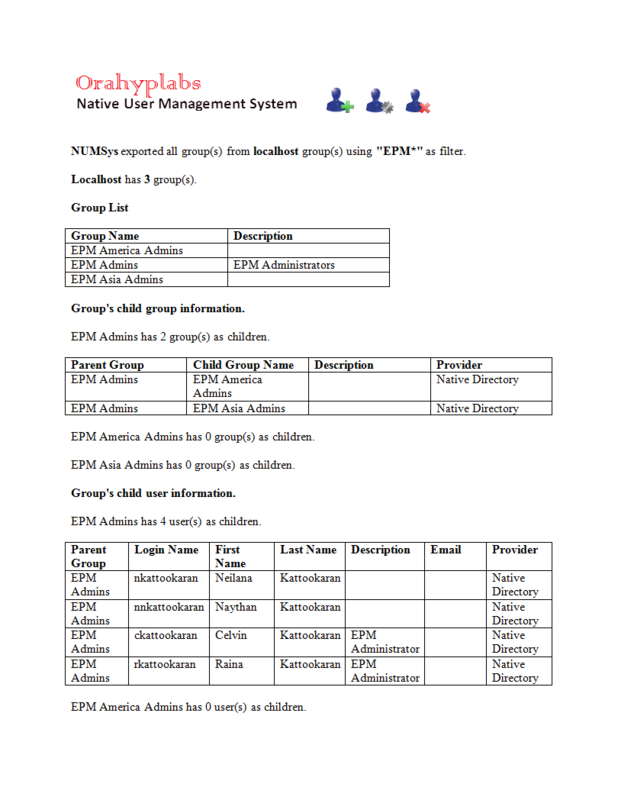 It has an interface where you can document about users, groups and group children. It has an interface where you can add a bunch of native users. It has an interface where you can modify a bunch of native users. These are the things I wish that I could have added to the tool. Maybe I’ll add these to another version. You can download NUMSys from here. @Shiva what would you like to see in the next one? 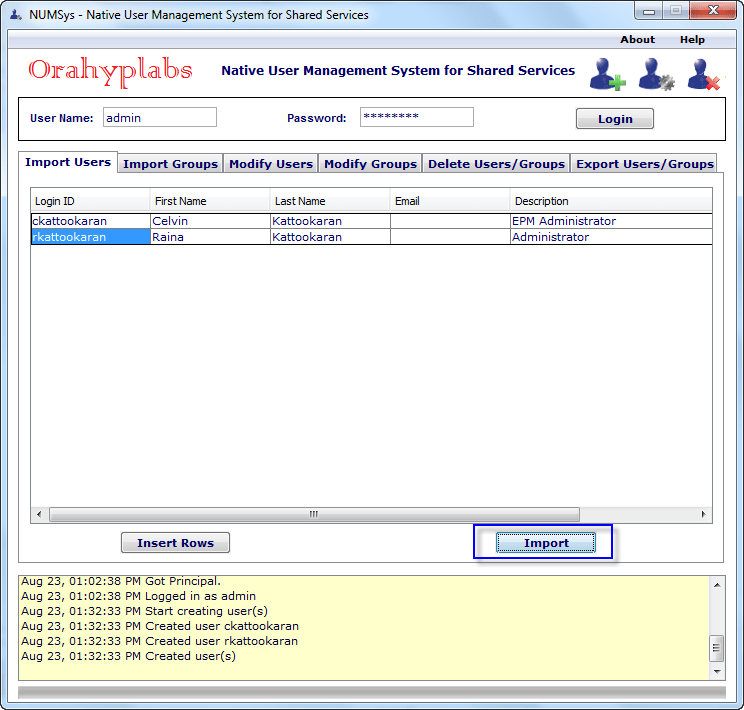 Which EPM versions does the tool work with? I have a requirement like I want to restrict few user's related to the workforce application in planning depends on Business unit's and product's. i.e…The test user could not access the corporate user's like Employee's depends on some business units and related product's.So Is there any way[Feature] to do this apart from manual process. What do you mean by "The test user could not access the corporate users'". 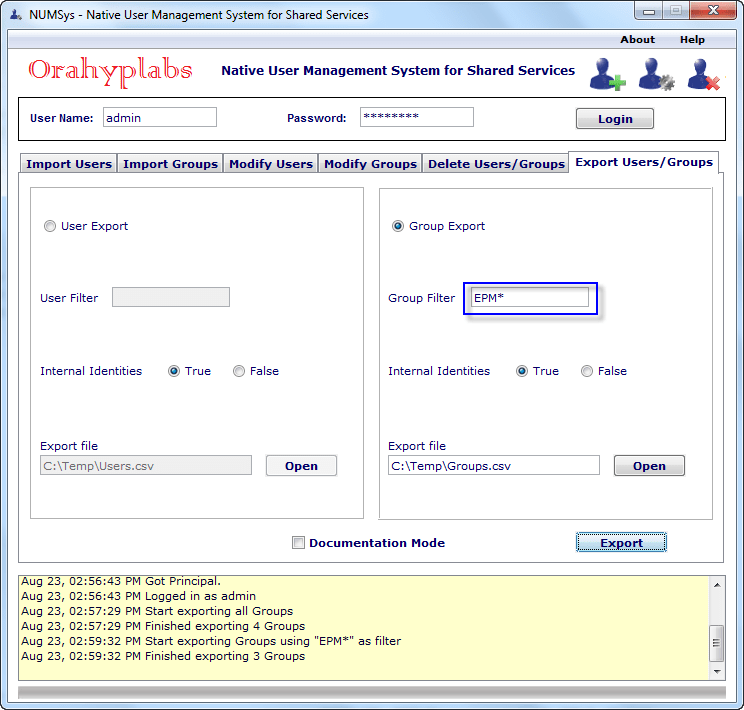 There is no filtering on the access in Shared Services, a planner is a planner – restriction is done on the planning side using access on members.